A Christmas meal with delicious roast turkey has become something of an institution, but not everyone gets excited by the prospect of preparing it all. There is no denying that it can be a lot of hard work, but the good news is that there are plenty of places across the North East that can prepare and cook your Christmas turkey for you. Christmas dinner takes a lot of preparation. You might be planning it for weeks for an event that lasts just a couple of hours. Of course, preparation goes far beyond the food itself: you also have the decoration and the table dressing, seating plan, crackers and gifts. The list is a long as Santa’s ‘Naughty or Nice’ scroll! Take the pressure off making your Christmas look like a department store window in December and book your lunch out. One of the best things about eating out at Christmas is that there is no waste. No leftovers. No eating cold turkey for days afterwards. You can have your meal and then you are free to enjoy something completely different for the rest of the week! Your relatives and friends can have their meal too, just the way they like it. 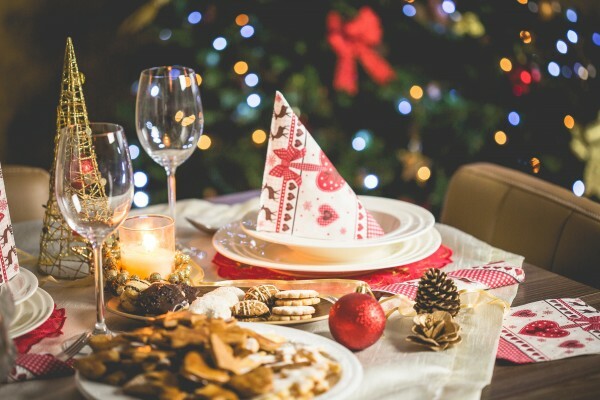 Another key benefit for many of us of eating out is that it allows us a lot of space; many of us these days have more people for Christmas dinner than space in our own homes, especially if the meal is to be a sit-down occasion. There are lots of wonderful restaurants in the Newcastle area, some in spectacular surroundings. Try somewhere like Hedgefield House with its stunning grounds and Georgian architecture that together offer a magical venue for a special occasion. Aside from no cooking and no waste, there is no washing-up and that can only be a good thing!